Hillary Is Panicked after Brexit: "Donald Trump Has a Real Chance of Winning"
The media elites are pushing the meme today that the Brexit has nothing to do with Donald Trump and Donald Trump will not benefit from the shocking vote. 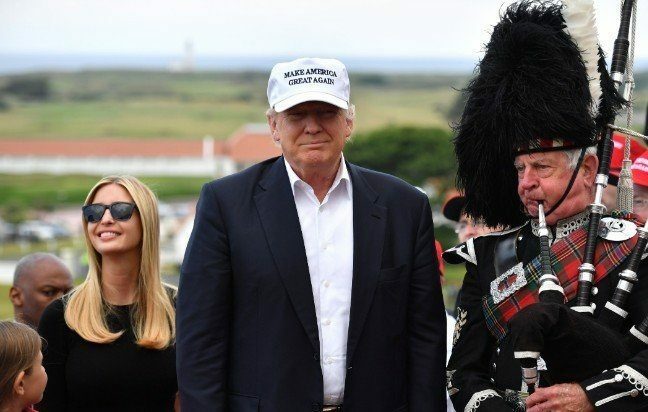 Donald Trump savors the Brexit vote today in Scotland. No matter what the collective wisdom of our political punditry has to say between now and November, Donald Trump has a real chance of winning this election. She should be worried. She’s an awful candidate, a serial liar and she is out of touch with the masses.